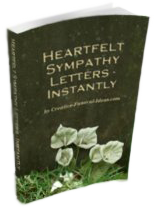 The following are the funeral poems that are the most popular on Creative Funeral Ideas. 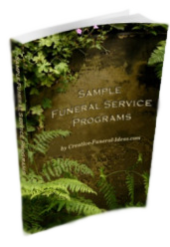 Click here to find my full list of funeral poems, broken into categories. Can there be anything more poignant and touching than these intense parting words? Death can be such a shock - somehow the following lines seemed to lessen the heartache. 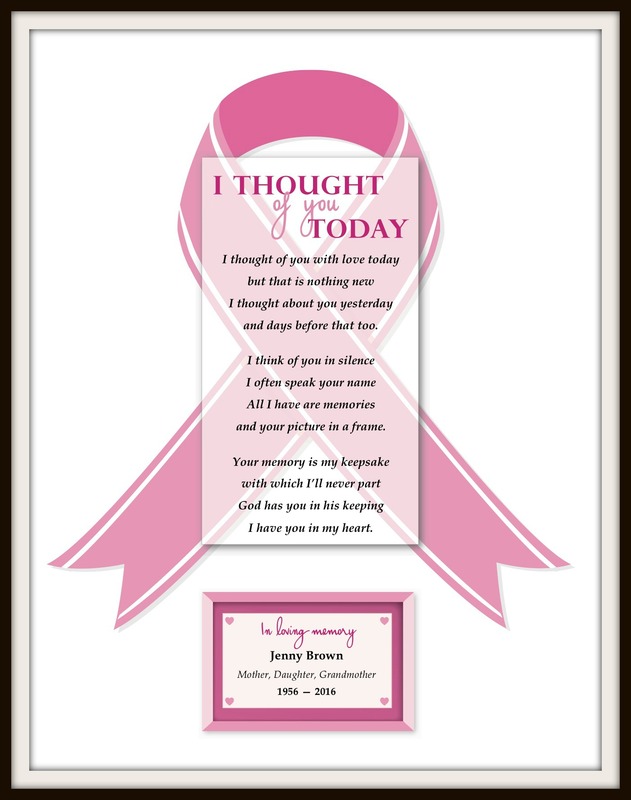 However, our most popular, most loved poems are the custom written, one-of-a kind poem about your loved one, that we create for the service. 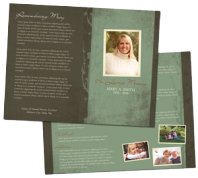 They can be used in the Eulogy or program or as a handout. 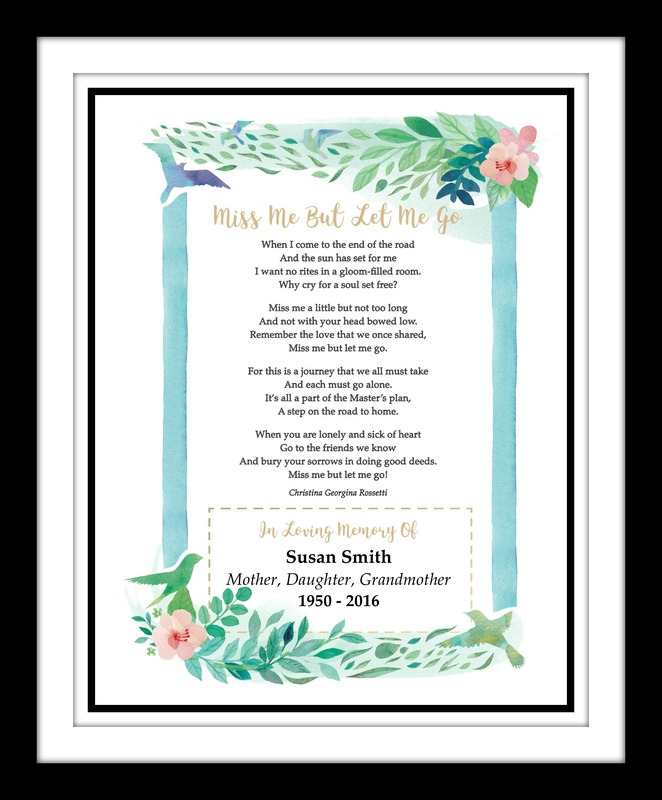 And we have had many people ask us to write a poem for their own funeral, as a way of expressing their loving (and sometimes very emotional) goodbyes to their family. 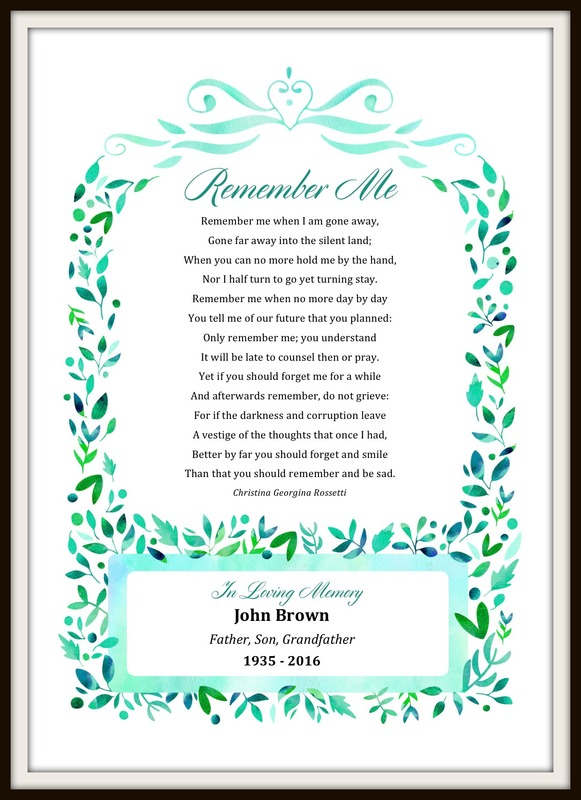 The many compliments we receive from our customers speaks to the popularity and unique impact of the poem at the service.